The North Carolina 100 is S&A Communication’s unique website and bi-weekly e-newsletter providing information to business leaders across the state and content marketing and sponsorship opportunities for businesses and organizations. With articles of 100 words and videos of 100 seconds, The North Carolina 100 offers bite-size morsels delivered with your busy life in mind. Topics include North Carolina history, arts and entertainment, culture, business, real estate, media, restaurants, events, travel and more. The goal is to quickly and easily inform readers about a wide range of ideas relevant to North Carolinians. Content marketing is a proven strategy that positions your brand and your executives as thought leaders. 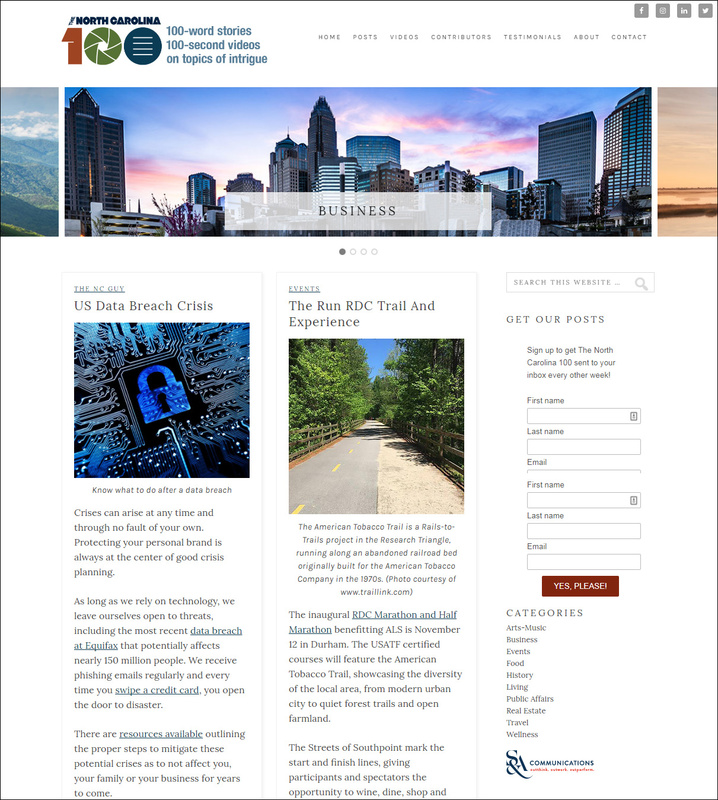 We help you develop stories or videos on topics of interest in your field of expertise and then publish that content in The North Carolina 100 e-newsletter, which is distributed to more than 60,000 business leaders and subscribers throughout the state. Your content also appears on The North Carolina 100 website and is available to publish in e-newsletters in other markets across the country.